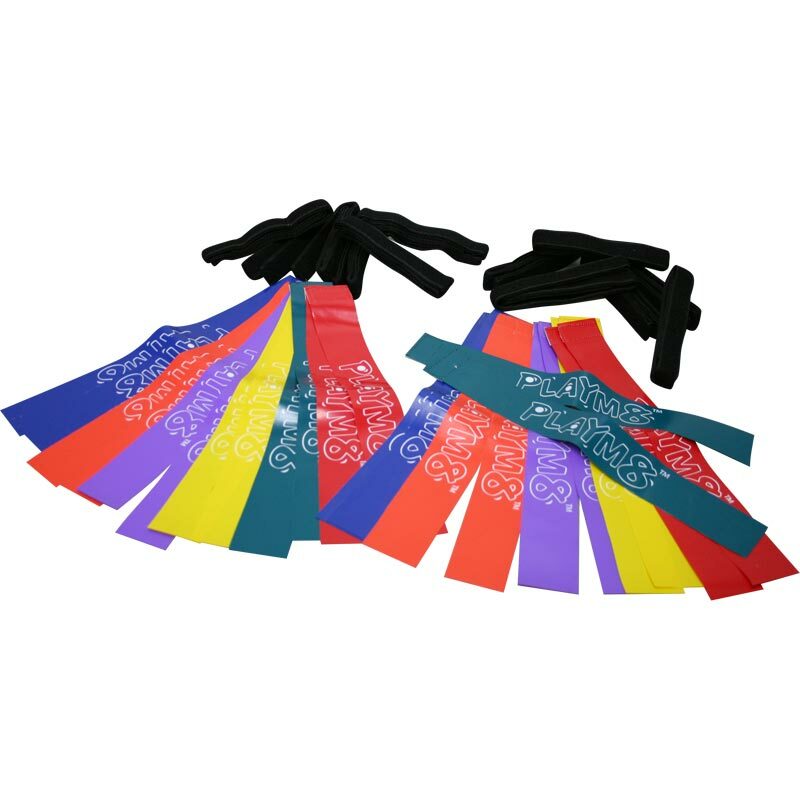 PLAYM8 ® Mini Rippa Tag Rugby Set. 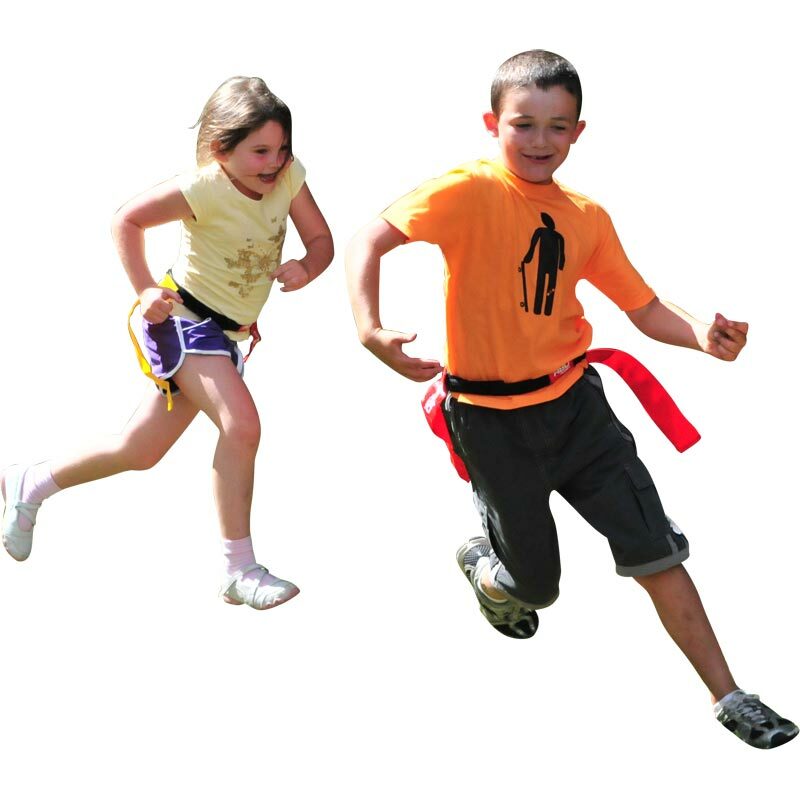 Rippa tag sets are perfect for endless running, evasion and chasing fun games. From non contact bull rush, catch and grab games to introductory evasion and defending movement skills for sport. Sets feature child friendly belts with easy to use loop fasteners designed with double sided Hook and Loop to fit all shapes and sizes. Our flags are made from heavy duty webbing material to minimise curling and offer a stable and easy grabbing target for all ages. 12 x 2.5cm wide waist belts, fits up to 102cm (40") waist. 24 Tags, 38cm long x 4.75cm wide (4 red, 4 blue, 4 green, 4 purple, 4 orange and 4 yellow).